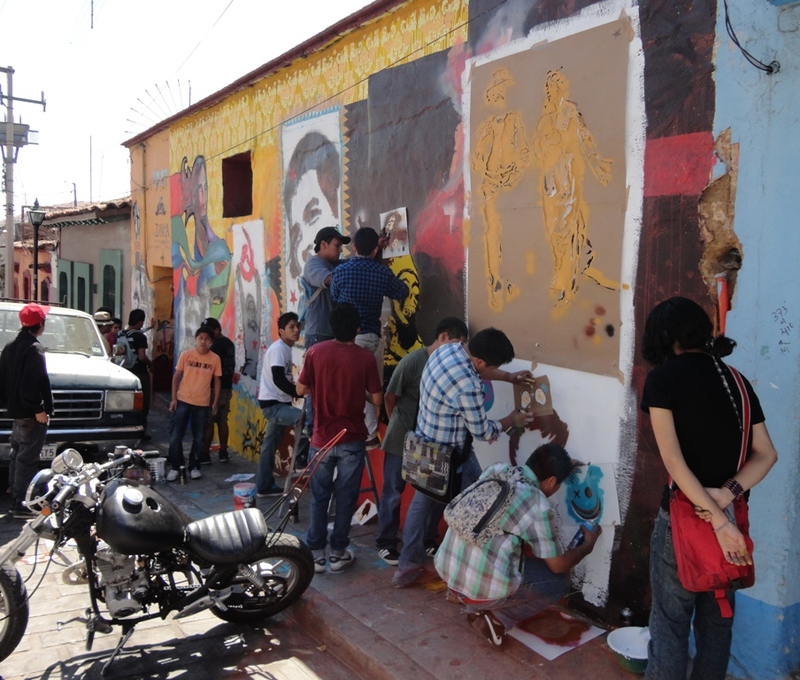 Street art in Oaxaca includes graffiti, stencils, pasted prints, stickers, and more. 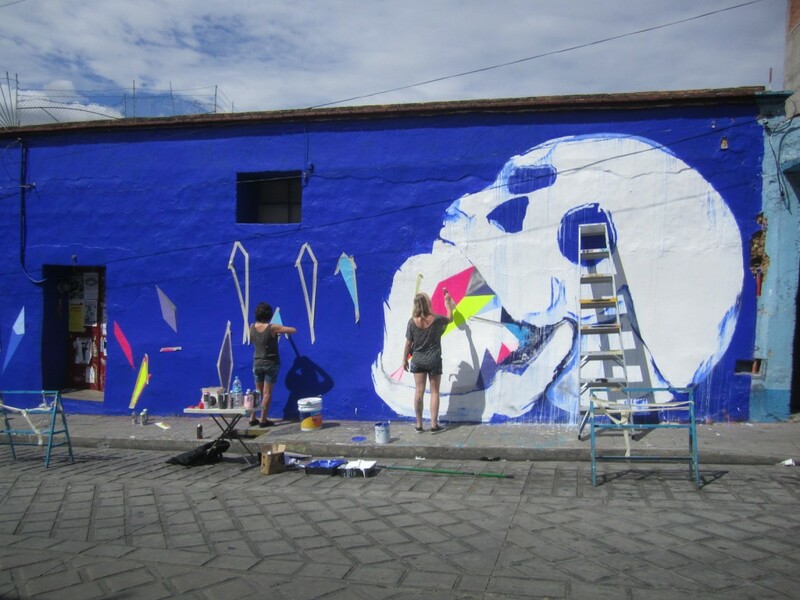 Mural painting is a tradition with a deep history in Mexico, in general, and we can find many examples in Oaxaca. 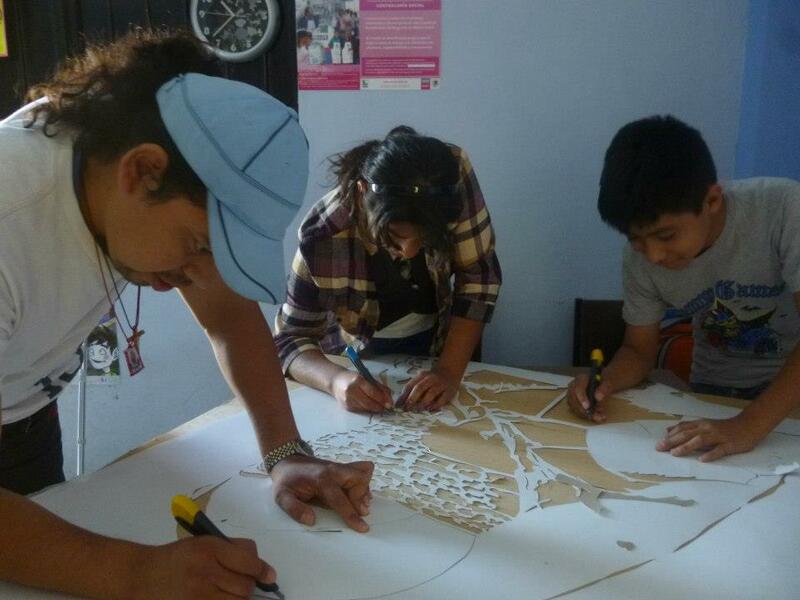 ASARO offers workshops to Mexican youth. They often create a design to project on a wall (indoors and outside), outline it, and have the students help fill in with colors. In this example below, César Chávez works with children of the bilingual (Spanish/English) Buena Vista Elementary School in Eugene, Oregon. 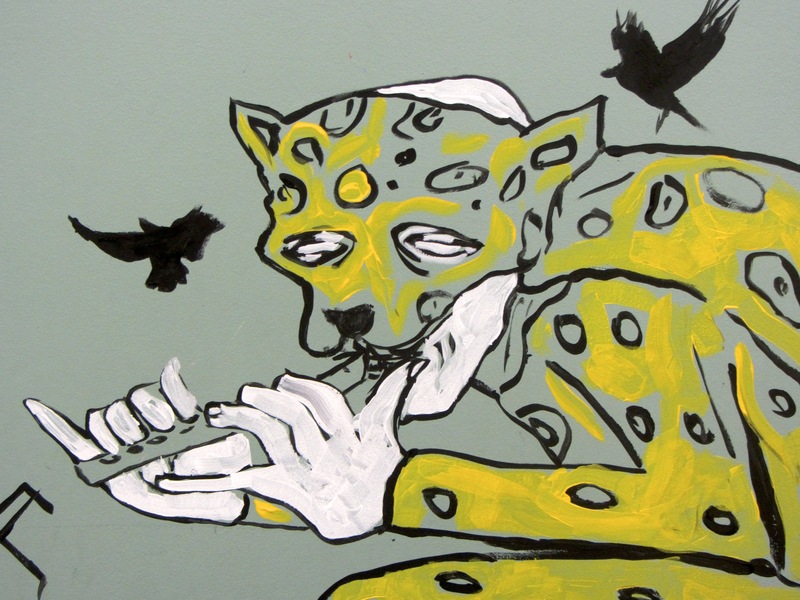 The school mascot is a jaguar, and in art class student were making clay flutes the week César came to visit the school, hence the design he chose. The dancing jaguars recall Mexican folk dances with pre-Hispanic origins. 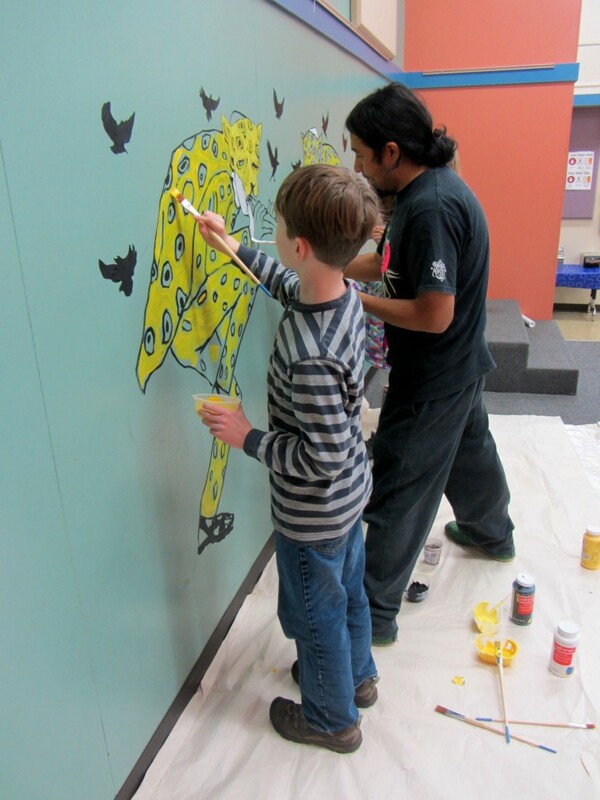 César added lots of birds around the dual, dancing jaguars so that more and more students could participate and the wall could be filled more completely. 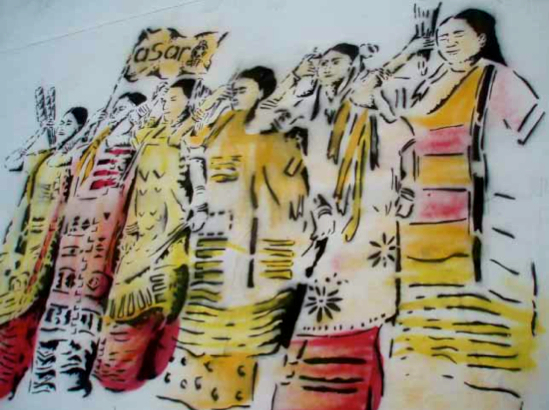 ASARO obtains permission to paint on exterior walls. When not projecting, they might take a large stencil to get the outline of a design onto the wall. 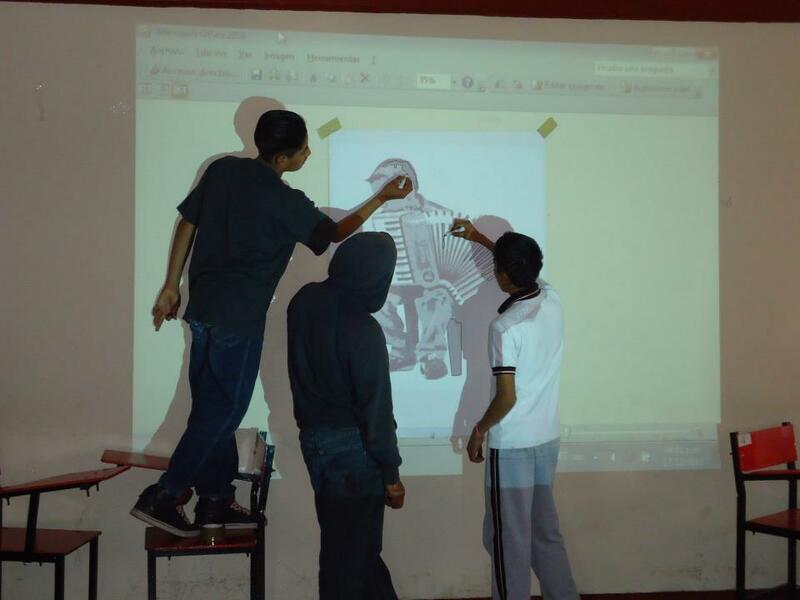 Students participate in the making of the stencil (especially, helping cut it out). And then the stencil is take to the street.